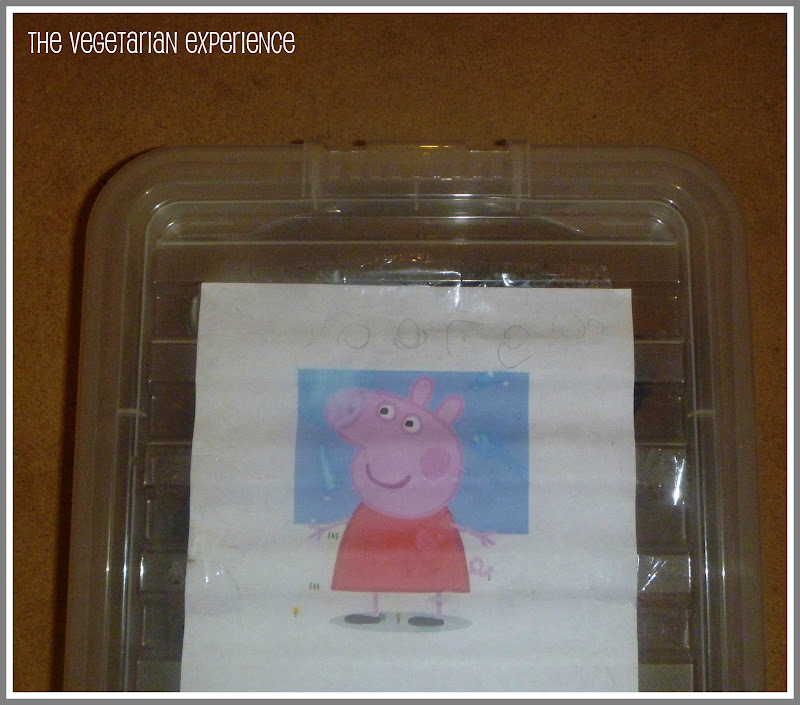 The Vegetarian Experience: How To Keep On Top Of The Housework When You Have Kids. When I was younger my mum's most common phrase was "All I ever do is clean this house!". I never really believed her. I always used to think that she was completely over dramatising the amount of work that she actually did and it couldn't be That hard to keep a house tidy!. The stroppy teenager in me (cue Kevin) thought that my mum asking me to clean up to me was just "ugh- so unfair" and I didn't see why I should have to contribute to the housework so much. Boy was I wrong!, Since having kids I have realised just how much it takes to run a house and keep it in order. It is a constant job - what's that phrase: "Cleaning the house while the kids are growing is like shovelling snow when it's still snowing" - that pretty much sums it up. 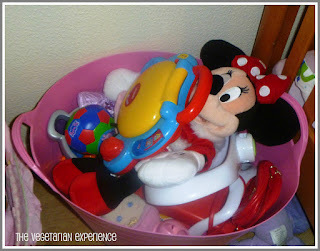 When my eldest was born I quickly became buried under a mountain of clothes, toys and child paraphernalia which added to our own stuff just meant that I was never quite on top of keeping our house tidy. I dreaded people asking to come over and would spend hours tidying the house before they did. I slowly started to suffer from CHAOS (can't have anyone over syndrome). I needed to find a way of putting some small steps into place so that I could keep on top of the housework and not let it rule me. A friend recommended the Flylady and her website changed my life. I won't go into huge detail about what the website recommends - go and look for yourself, but I will share with you a few ideas of the things I learned that I have found to be really helpful when it comes to keeping on top of the housework. The most important thing I have come to realise (talking to my 14 year old self) is that everyone is responsible for helping in the house as much as they can. Kids are never to young to start helping with the chores. 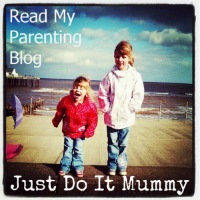 Teaching kids about playing a part in the daily running of the house from a young age and giving them ownership of keeping their own stuff tidy I am sure will help them in the long run - and will also help us busy Mum's and Dad's in the long run too! Encouraging the kids to keep on top of their own stuff then leaves more time for actually cleaning the house, rather than just keeping the surface mess at bay. So my top tips for house work also include ideas of how to make chores fun for kids as I think that the two really do go hand in hand - so here they are! Top Tips for Housework & How to Make Chores Fun!! My top tip for keeping on top of the housework is BUCKETS!!. Yes Buckets!!. A year or so ago I invested in some flexi-buckets from the local supermarket. Before, when tidying, I would be making numerous trips between rooms putting stuff away and taking stuff up and down stairs. It would take me ages. Now everything goes in a bucket to be transported between rooms just once - it's much quicker than doing each item one at a time. 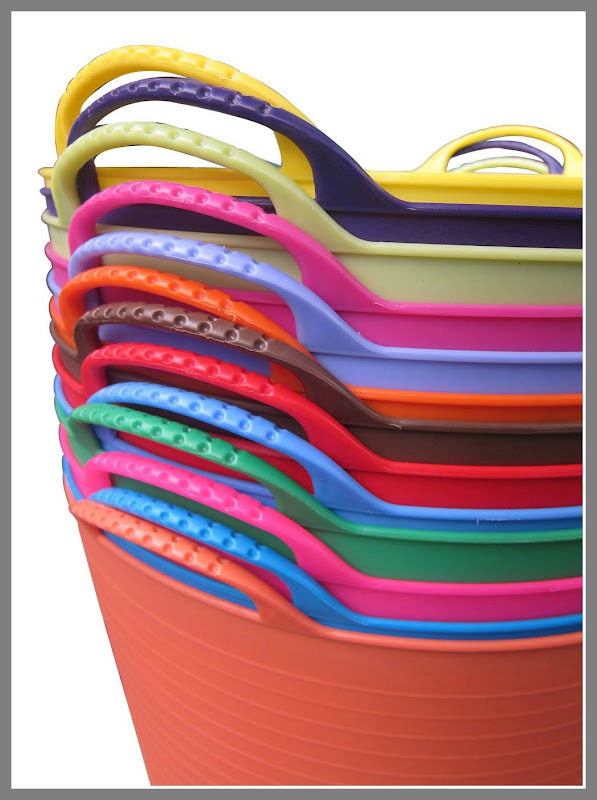 Give a bucket to each member of the family and get them all involved in tidying up. We use buckets all around the house so that stuff goes in the buckets rather than being left on the floor - in the hall for mine and hubby's shoes and outdoor gear and in our bedroom for keeping all of my magazines in. I have numerous buckets in youngest's room so that she can get her toys out easily and put them away again without fumbling with tricky cupboards and drawers. Less work for her and me. Having buckets in the kid's rooms will save you time and it's easier for them to find their toys. 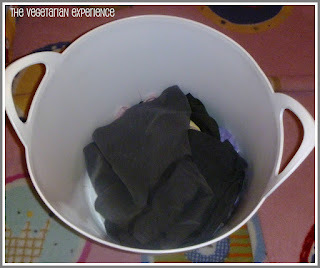 We also keep all school uniform in a bucket once it is ironed, so that eldest (5) has easy access to it and so in the morning she can get up and get dressed completely out of one bucket from underwear to outerwear rather than running here and there looking for clothes, wasting time and making more mess for me! We have a "dirty clothes" bucket by the stairs which the kids are both adept at chucking their clothes in. When I am going up or down stairs, I always take it with me and transfer the clothes to the washing machine or downstairs washing pile. We have boxes for the kids that live by the front door to keep all of their shoes and outdoor accessories in. When they comes in everything goes straight into the box so we know where it is when we need it next and it also stops the mess being all over the floor. 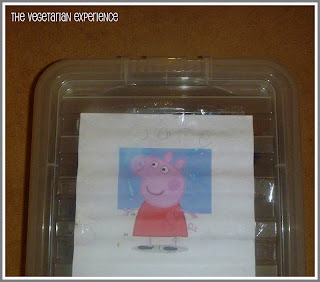 Get the kid's to decorate their boxes, or put their name or favourite character on the box so that they know which one is theirs. At the end of each day, the girls and I go around the downstairs with our buckets and pick up all of the things from downstairs which need to go upstairs. We then take the buckets upstairs and put the away. Sometimes I set the timer and see how much the girls can fill their buckets with in two minutes, or I reward stickers for putting their things away well. The girls love Mary Poppins, so we pretend that we are in a Mary Poppins film and they sing the songs as they tidy up. It gets the job done much quicker. Involve kids in the Kitchen. 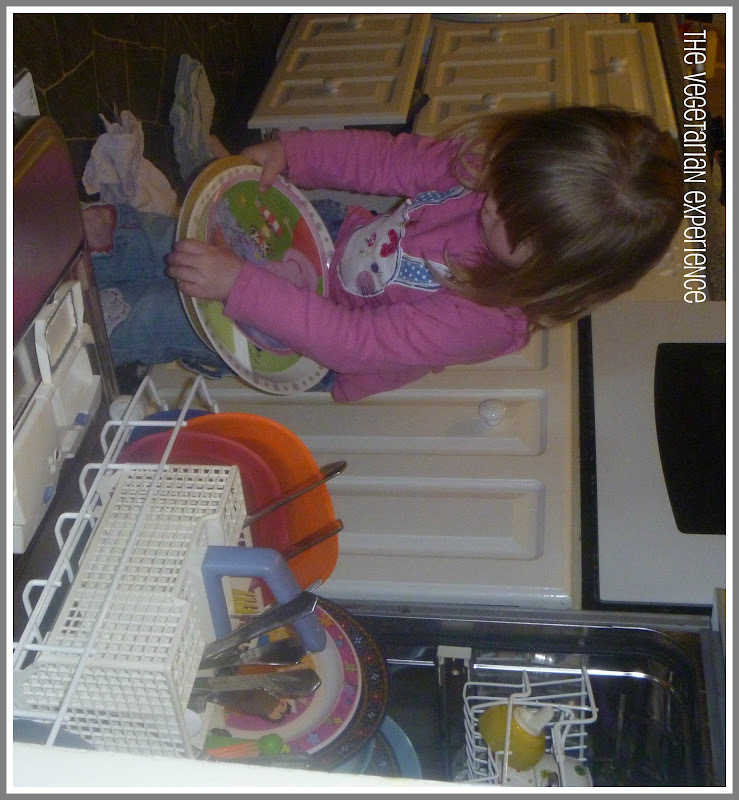 Two year old loves emptying the dishwasher, piling up all the plates and cups and saying hello to her cartoon friends on the crockery who have been through the 'whizz' machine. She likes feeling helpful and like a big girl. She will happily empty everything and put it on the side for Daddy or myself to put away. We are not particularly precious about our crockery so she happily handles everything except for the sharp objects. I also encourage both kids to help me set and clear the table. If we all do it together it takes less time and is a small thing they can do to help. I make a big thing of telling Daddy how helpful they have been. Sometimes setting the table also includes picking the centre piece - a candle or some flowers for a special dinner and so they love being involved with picking what goes on the table. Both girls are responsible for keeping their own bedrooms tidy. I took a picture of both their bedrooms when they were tidy, laminated them, and stuck them on their walls, so when they tidy up they can see what their tidy bedrooms look like. I reward their tidying up with a sweet treat, or time in front of a DVD or on their Leapster's. Little and Often will save the day! Now that the mess is dealt with by helping the whole family to keep tidy, little and often is really the key to keeping on top of the cycle of washing and housework. If you don't have long, set a timer and just clean each room for five or ten minutes and see how much you can get done in that time. Even small things like wiping round the bathroom with a baby wipe makes a difference. I try to have a set day to hoover/dust/clean different rooms so that I do a little each day to keep on top of things. Baby wipes are really great for cleaning. I use them in between big cleans to keep surfaces clean - a quick wipe of a baby wipe over the surfaces with help them to look clean, tidy and dust free. A Load a Day Keeps the CHAOS away! I aim to do at least one load of washing every day and although it is a constant cycle of washing, it is better than letting it build up and getting lost under the washing pile!. I also make a game of sorting the washing with the kids and it helps them learn their colours. I offer a treat in return for helping me with the washing and so they are almost always eager to help. Every six months I spends a week cleaning out every drawer and cupboard - this often coincides with our local Nearly New Sales, so I can clear out the kids toys and make space by selling them at nearly new sales ready for them to receive new ones for their birthdays or Christmas. Anything not sellable via an NNS or Ebay goes to the charity shop if we havent used it for more than a year or it isn't a keepsake so that we can make space in the house regularly. It's amazing what you accumulate in your car and handbag over the week! I choose one day of the week (mine is Friday) to clean out my car and my handbag. Again with my trusty bucket, I take everything out of the car that shouldn't be there and either throw it away or put it away in the house. I also clear my handbag out and throw away any excess receipts or put them somewhere for safe keeping. Having a place in your home which is free from clutter and has something pretty on will always preserve that tiny shred of sanity you need to not worry too much about the rest of the house. Mine is my dining table. 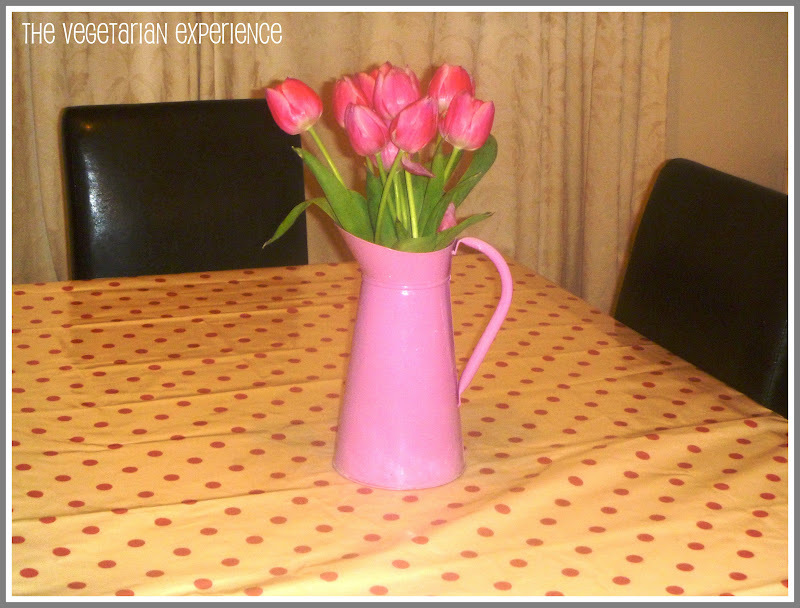 I love my dining table as to me it symbolises the heart of family life. I always ensure my dining room table has a pretty tablecloth on it and is adorned with either freshly cut flowers, candles or an attractive decorative bowl. This is my small part of the house and reminds me that I can deal with the rest of the chaos as long as one part of my home looks pretty! So I hope you found these tips helpful - what are your best housework tips? Today I am blogging in the hope of becoming a Morphy Richards Innovator. Morphy Richards and the Tots 100 have teamed up to offer Bloggers the chance to become a Morphy Richards Innovator by sharing their top tips for running a home and caring for a family.